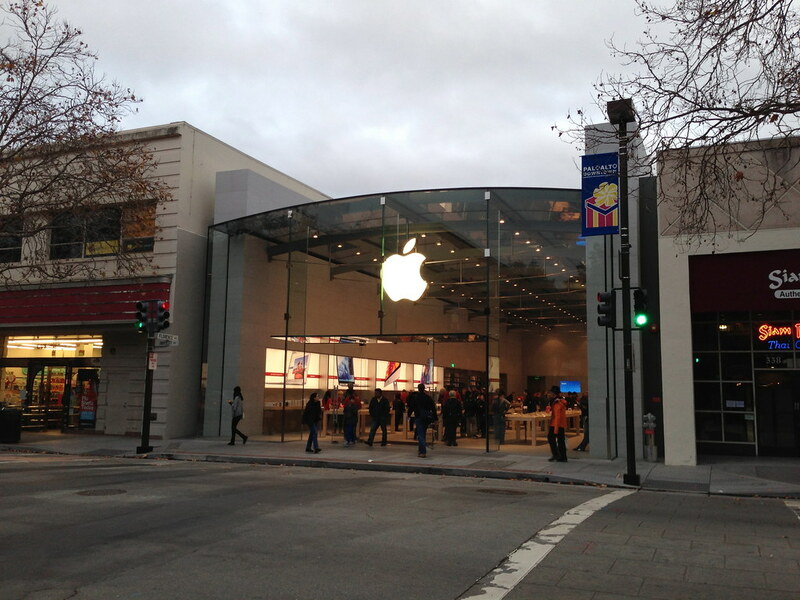 I was near Palo Alto on University Ave, so I decided to stop by the new Apple Store. 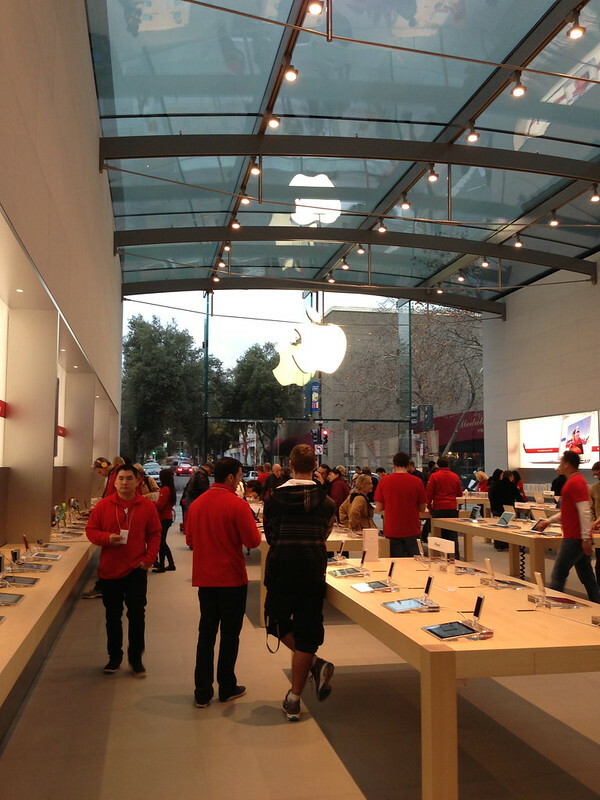 The new store is not far from the original Palo Alto’s store, and it is really gorgeous. The store feels really deep and the wall of 3rd party accessories are really nice, oppose to the older store where the accessories were tucked away. If you’re ever in the Palo Alto store, I’d recommend to stop by to visit this beautiful store. I’ve actually used my Apple Store app and scanned one of the products to check out. Amazing how what retail store could do to enable customers to have the best experience. Steve Jobs and retail team must have figured out that the pain point is always at the cash register.